Valencia Isles in Boynton Beach is an exclusive active adult community designed for the enjoyment of the ultimate carefree Florida lifestyle. This splendid community consists of 796 single family luxury homes. Valencia Isles is a gated community with a live guard available 24 hours a day. 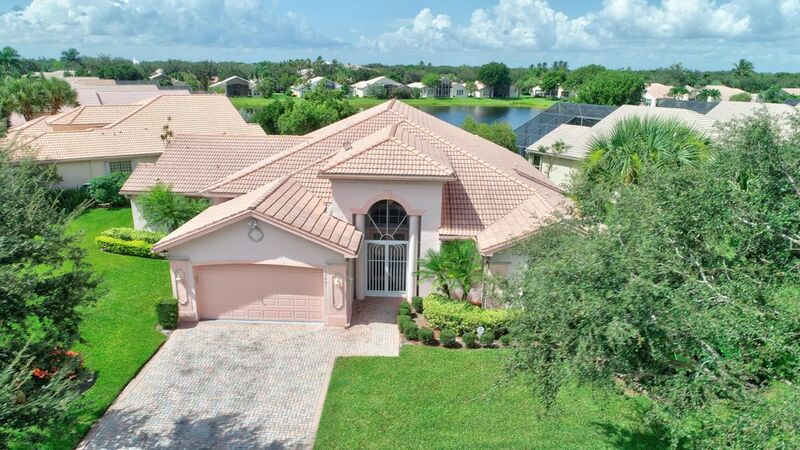 It's convenient location in the heart of Boynton Beach makes for easy access to ample choices of shopping, dining, houses of worship as well as major highways. Recreation-rich Valencia Isles is just one of the incredibly popular Valencia series communities developed by G.L. Homes and designed to cater to the active baby boomer lifestyle. Residents here desire luxurious homes and a multitude of social and recreational activities. Well appointed clubhouse that serves as the centerpiece of activity within the community and features tennis courts, card rooms, meeting rooms, heated swimming pool, and shuffleboard. HOA is managed by Castle group and dues include use of all community amenities, roving security patrol, basic cable TV, maintenance of common grounds, 24 hour guard gated entry, and more. Located in southern Palm Beach County, Boynton Beach is a year-round community that offers warm weather, sandy beaches and year-round golf. The full complement of recreational, entertainment, shopping and dining opportunities are all easily accessible. The offerings at Valencia Isles are hard to beat, whether it be for year-round living or a winter home - it is a great neighborhood to live, play and socialize.